Some of my collection of different optical viewers and projectors. In 1844 David Brewster introduced a device for taking 3D photographs. 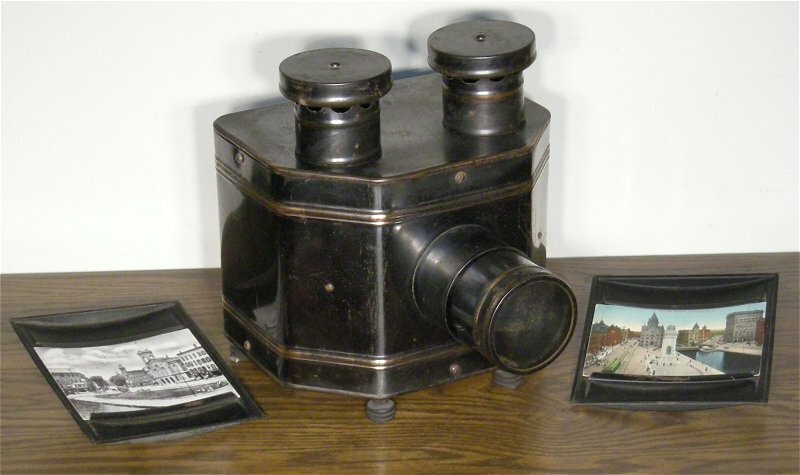 He called the device the Stereoscope. To view the 3D effect you place a card with two photographs on it in one of the stereoviewers below. Pictured at left is a set of around 50 Stereoview Cards taken of the climb through Watkins Glen in the 1800s. A note found with this set says they were purchased on an excursion to Watkins Glen N.Y. on July 4, 1883 by Howard Ellis as a gift to his soon to be wife. (note below). There is no manufacturer marked on this wooden viewer. The only stamp it has reads "Pat'd Dec. 1, 1863 Reissued May 7, 1878". 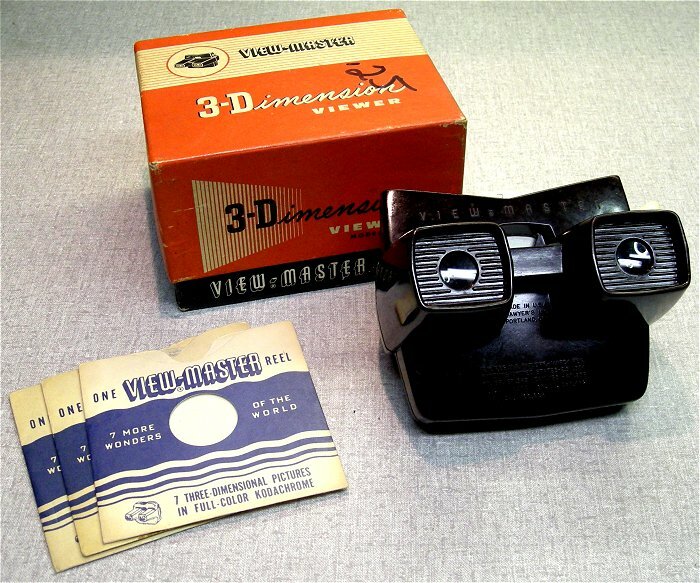 These 3D glasses were handed out by Chrysler to view their "In Tune With Tomorrow" 3D movie at the 1939 Worlds Fair. 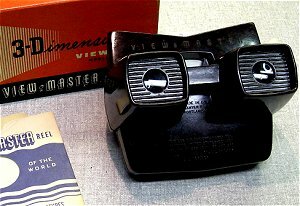 These were reportedly the first "Polerized" 3D glasses. 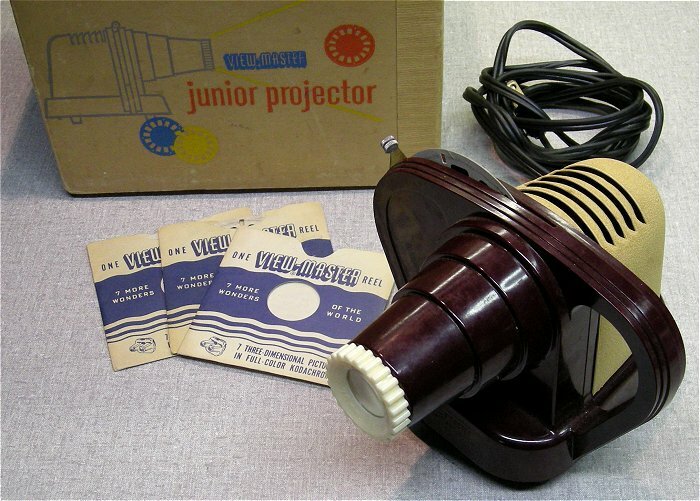 Manufactured by Church-Craft Pictures Inc, Saint Louis, in the 1950s. 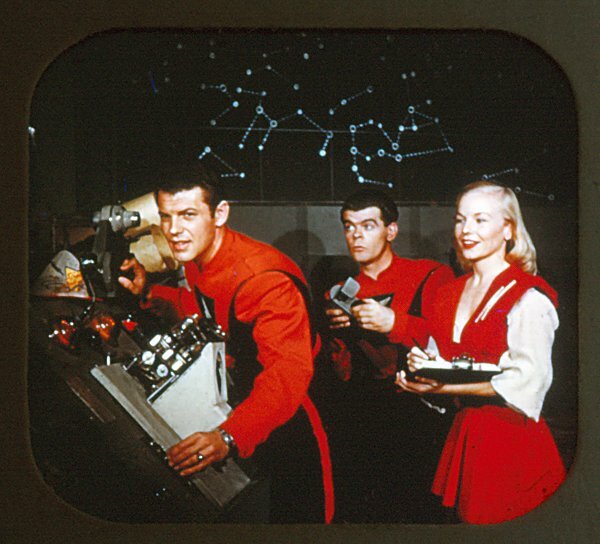 This Bakelite 3D viewer came with a set of "Space Patrol" cards showing scenes from the 1950's science fiction television series. 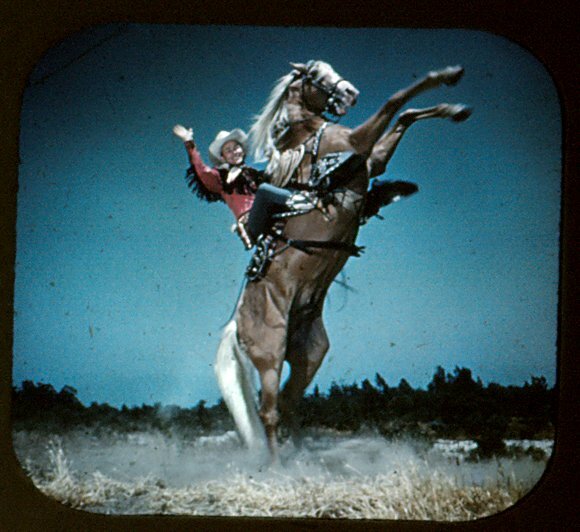 The classic bakelite Viewmaster 3D viewer I grew up with along with three of my Saturday morning TV favorite View-Master reels from the 1950s, Hopalong Cassidy, the Cisco Kid, and my all time favorite cowboy, Roy Rogers and his horse Trigger. This View-Master Junior Projector was used to project reel slides onto the wall (not in 3D). 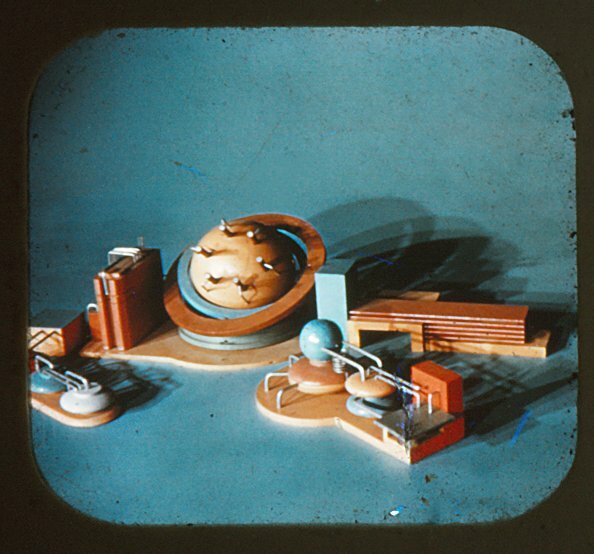 The radioptican was designed to reflect light off a post card through a focusing lens and onto a wall. They only work if used in total darkness. You slide a post card into a holder on the back and the light inside reflects off the card and projects the image onto the wall. 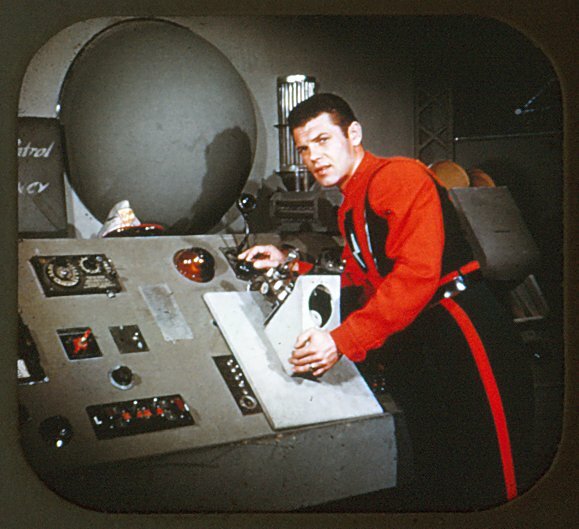 This Radioptican came with two rear doors so you can be reloading a post card in one while others are viewing the first post card. 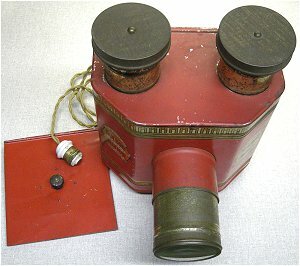 Early projectors were gas flame powered as electricity was not available yet. 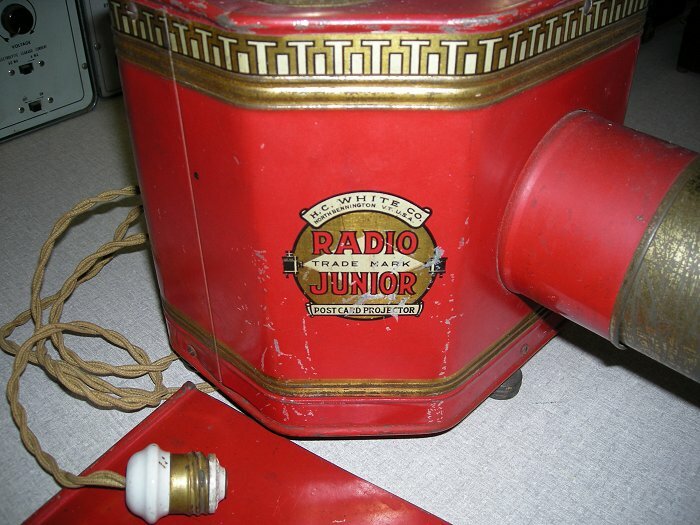 In the 1920s a kit was available to convert to electric lamps. 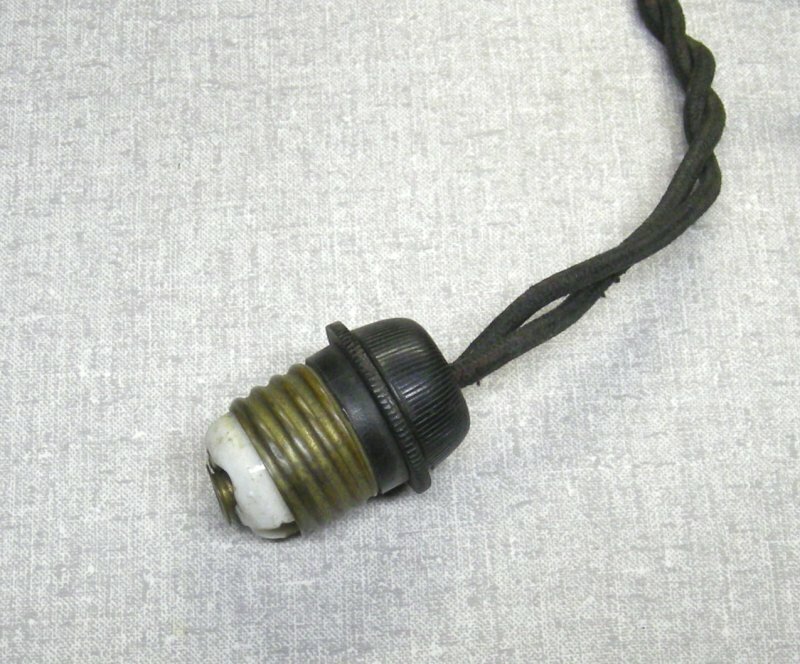 Many when found still have the early Edison screw connector for connecting to a lamp socket (mid 1920s). The two chimneys on the top are to expel the heat from the flame or the lamps. This is a smaller version of the Radioptican projector shown above. 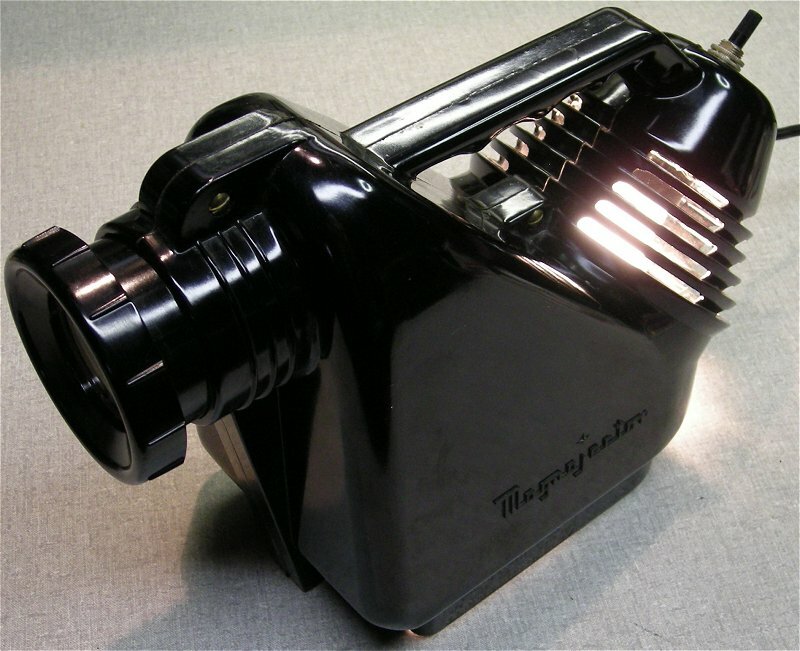 Notice the Edison power connector which dates this projector around the mid 1920s. 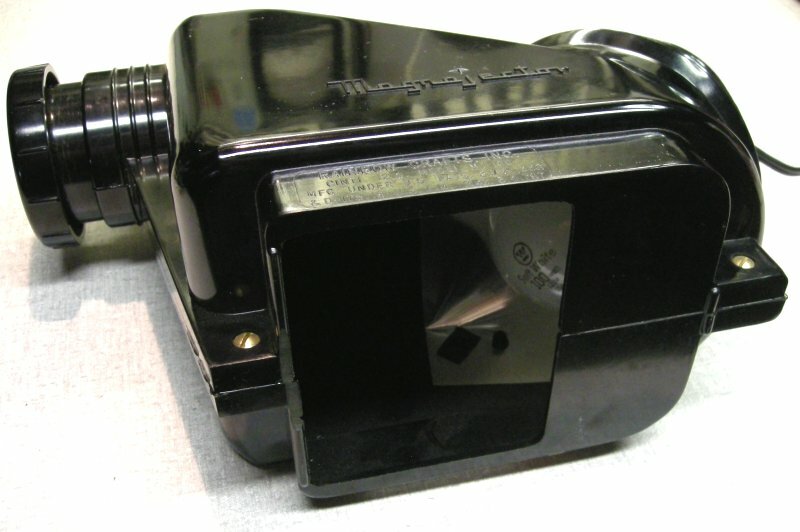 The Magnajector used a standard incandescent bulb and was designed to project small objects and flat items like photographs, books and magazines onto a wall. 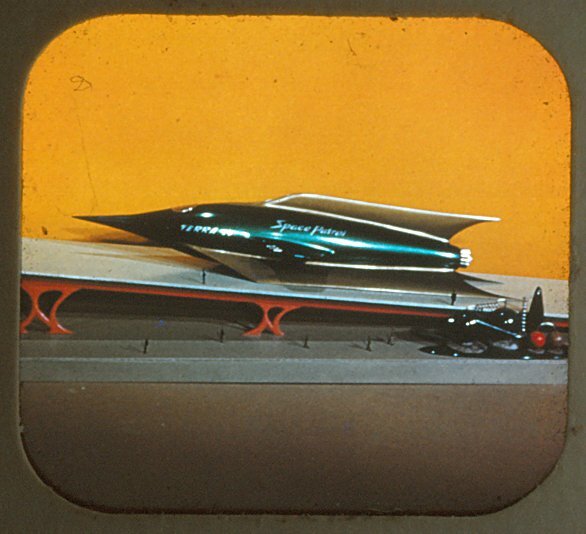 Later versions came with flash cards and other learning materials. This model MJ100 was distributed by Rainbow Crafts Inc..